The Nokia 5110 was the first ever cellphone that I ever had. I still remember owning one when I was still in my fourth year of high school. The text function was pretty new at that time and compared to other cellphones. The Nokia 5110 text interface was much more easier to use. The Unit was very popular at that time and many people here in the Philippines used it. The front case cover was also removable and you can buy to covers to fit your own style. I still remember that I changed my cover to a gold one. It was also a very sturdy device. No matter how many times it fell or I accidentally drop it, it would still work fine except for some physical damage to the case. 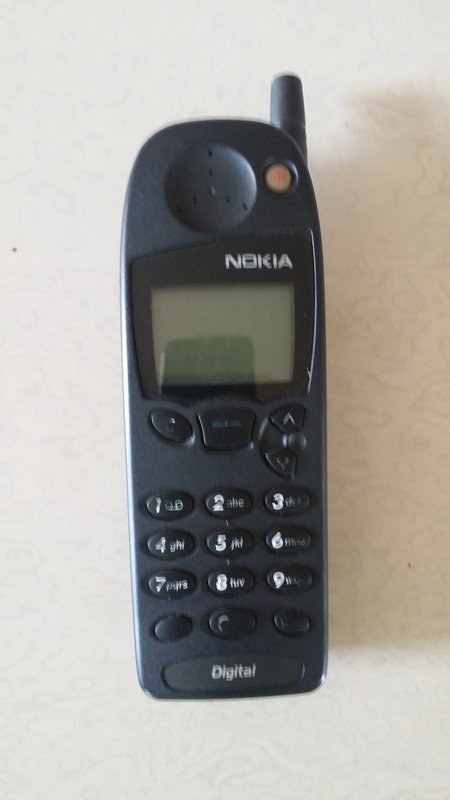 I got this Nokia 5110 unit when a cellphone repair man sold it at my junk shop together with other cellphones. He said that no one really buys them anymore and younger people tend to buy and use smartphones. So he decided to just sell it for scrap. I didn’t have the chance to try it out if it still works because when one of my friend saw it he immediately asked me if he could buy it to used as a display piece at his house. Nokia 5110 was launched by Nokia in 1998. The cellphone model was not only targeted for business use but also for consumer use as well. This model started the xpress-on covers in which you can change the front cover of your cellphone to coincide with a person’s taste. Battery life was excellent if you are not a heavy user the battery would last for almost a week. With calls and heavy texting i remember the battery would last me 3-4 days of continous used. This was also one of the first few cellphones to have the game snake. And I remembered having fun and playing it all day when I first had my Nokia 5110. Due to the rapid development of cellphones its popularity waned in the early 2000’s especially with the release of newer, more compact , and feature laden models.